Achieve professional results with the Delta 5 HP Motor 10 in. Unisaw with 52 in. Biesemeyer Fence System. There is 1 saw per shipment. The cast iron surface provides stability and accuracy. This saw delivers accuracy and precision you can count on. Tbook.com crawls the web to find the best prices and availability on Table Saws and related Tools and Hardware products like Delta 15 Amp 5HP 10 inch Unisaw Table Saw with 52 inch Biesemeyer Fence System. For this page, related items include products we find that match the following keywords: "Table Saw" at our vendor partner Home Depot. 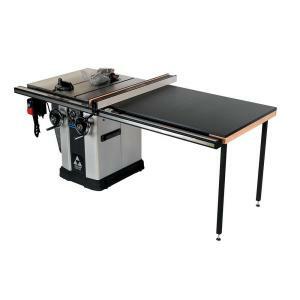 Delta 15 Amp 5HP 10 inch Unisaw Table Saw with 52 inch Biesemeyer Fence System is one of 60 Table Saws and related products listed in the Tools and Hardware section of Tbook.com If you have any questions on this product, please give us a call at 734-971-1210 during the hours of 9am - 5pm EST for assistance. Thank you for shopping at Tbook.com, the Internet Department Store!